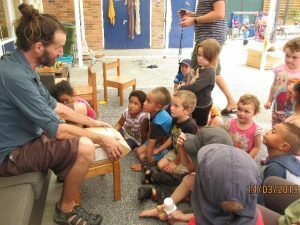 Last year, Central Kids Huntly Kindergarten joined Para Kore, an organisation that support Marae, Schools and now Kindergartens to reduce waste. 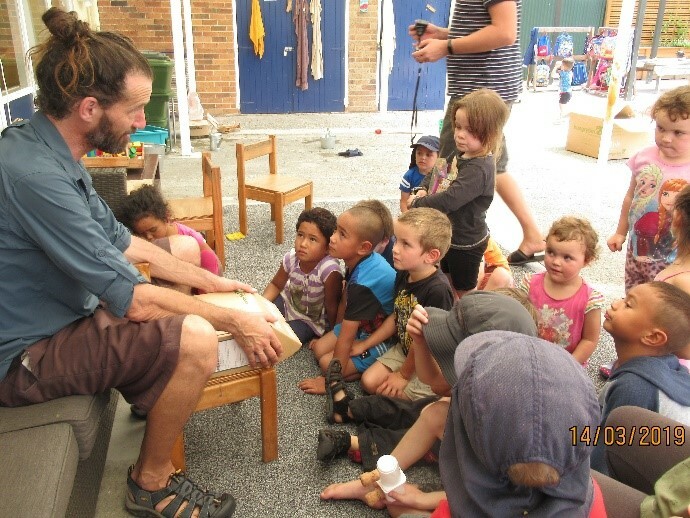 They have sent us the knowledgeable Matua X (aka Paul Murray) to support Huntly Kindergarten’s sustainability journey. Recently Matua X delivered our Worm Farm, donated to us by Para Kore. Excitement broke out as everyone became involved in building the farm, adding the ingredients, and especially the worms. We learnt about the types of food worms love to eat and the foods they don’t like too much. Thanks Para Kore, especially Matua X, we are enjoying feeding our worms and reducing the food waste at kindergarten.